Email messages in Microsoft Outlook are stored in Personal Storage Tables, or PST files. Sometimes it is convenient to store an individual email message as a separate file so it can be shared. Outlook 2013 and earlier versions provide this ability. To save an email as a .msg file in Outlook 2013, click on the email you want to save. Next to go File > Save As and select "Outlook Message Format - Unicode." In cases where it's necessary to save dozens, hundreds or thousands of Outlook emails as individual .msg files, Outlook falls short. That's where an add-in called MessageExport can take up the slack. MessageExport extends Outlook's ability to save email messages as .msg files, and many other formats including .pdf. 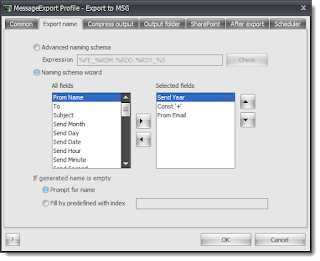 MessageExport provides several options that improve the export operation. For example, a specific naming structure can be applied to the name of the .msg file. If you were exporting, say, 500 emails to .msg format, and you wanted the name of each .msg file to begin with the year it was created, you can easily setup that structure with MessageExport. 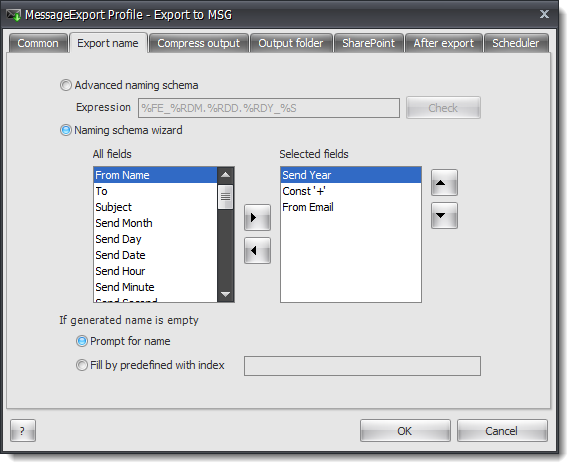 To do this, choose the "Export to MSG" file profile from MessageExport's drop down list; next click the Edit icon, and go to the "Export name" tab. Add the fields that you want to include the file name. Click OK to save your changes. 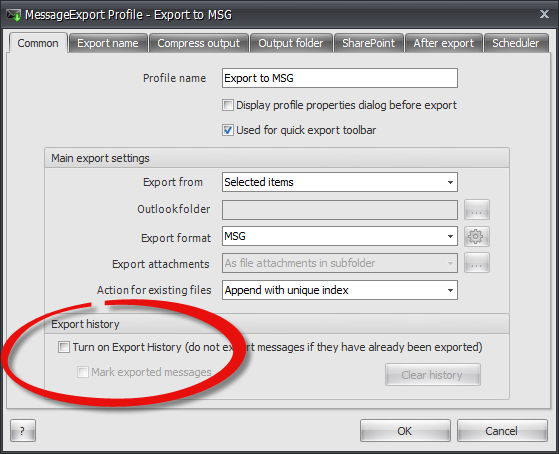 Each time you run the "Export to MSG" profile on selected Outlook emails, MessageExport will name your .msg files according to your plan. 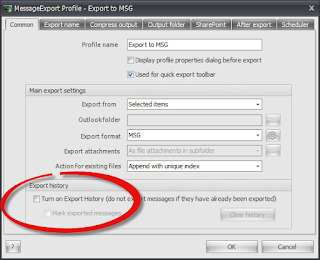 Another tool that MessageExport provides you is "export history." Enabling this function lets you exclude messages that have already been exported to .msg format, eliminating the possibility of duplicates. To enable "Export History," click the edit toolbar and go to the "Common" tab. Check the box that says, "Turn on Export History," then click OK to save that setting to the profile. 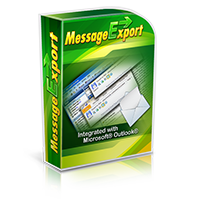 While exporting a few emails to .msg format from Outlook 2013 is easily done, consider using MessageExport for more complex Outlook to .msg file export operations. You can try MessageExport free for 15 days. Download a free trial on the MessageExport home page. When the trial is complete, MessageExport will continue to function, letting you convert individual email messages to .msg, .pdf, .eml, png, gif, tif and other formats! You can activate the full version at any time by purchasing a key.